The Lakers’ No. 12 Nicholas Lang prepares to shoot a free throw as the Lakers’ No. 13 Edvaldo Ferreira and No. 33 Patrick Smith get ready for the shot. Patrick Smith made sure the greatest run in program history would last at least one more weekend. The Atlantic Region Championship was his for the taking. Coming off a massive upset of second-ranked Indiana in an essential road tournament game, Smith led Gary Manchel’s Mercyhurst team with 16 points and 17 rebounds to a stifling 82-70 upset of fifth-ranked West Liberty at the vaunted Kovalchick Complex on March 19 to capture the program’s first Atlantic regional title in school history and take the nation’s No. 2 defense into the Elite Eight. And fight he did, directing the Lakers’ (26-7) defense into holding the top scoring offense in Division II at 101.9 points per game to their lowest total of the season, including just 31 in the second half. Coming off a two-point win over Virginia State in the earlier semifinal, the West Liberty Hilltoppers went on several sharp runs in the game’s opening minutes, responding to an opening 10-0 run with a 9-2 spurt of their own and an evening of the score at 20 at the half’s midpoint. The Hilltoppers’ Tyler Primmer would not be outdone, his three complementing Nate Allen’s jumper before the Hilltoppers’ Marlon Moore fouled Smith and made the first of three consecutive free throws, all in the meanwhile blocking Eric Meininger on the other end, one of five on the night. The Hilltoppers then closed the half on an 8-2 spurt over its final 1:46. In the next half, a three from the Lakers’ Nelson Maxwell 1:39 into the period allowed a 12-0 run over just 3:07, coaxing the Hilltoppers into missing their first eight shots of the second half. The Hilltoppers clawed to within six twice within the next two minutes, with All-Tournament performer Will Yoakum responding to a pair of Nicholas Lang free throws with two of his 13 points. But Hilltopper Yahel Hill was fouled after a missed three from Zach McIntire, allowing Maxwell to hit consecutive threes and re-open a double-digit lead, where the Lakers would stay for 11 of the game’s final 13 minutes. Smith would then continue his hot hand with a triple at 8:06 of the second to increase the lead to 13, part of his 5-7 night from the floor and four Laker threes in the second. A minute later, Jason Massey continued his scorching play to open the game’s largest margin for either team. He finished with 13 and six rebounds. A Massey layup sparked a 7-2 run for the Hilltoppers. The Hilltoppers’ Dalton Bolon chipped in nine of his 12 in the first half. With 9:19 left in regulation and the margin at 12, Bolon fouled Edvaldo Ferreira, but the Hilltoppers had only gained one point over the next three minutes, en-route to just 10-31 shooting from the floor in the second half. 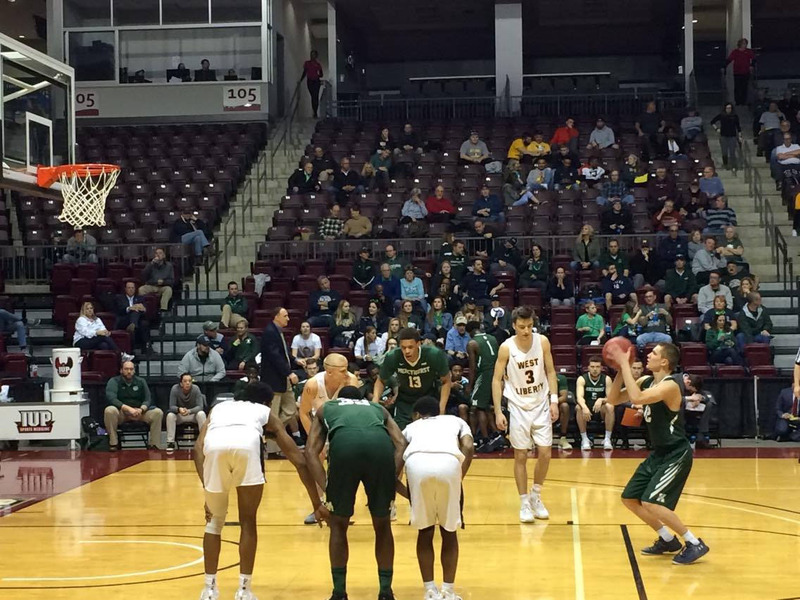 Over the game’s final five and a half minutes, the Lakers were then able to hold the Hilltoppers to just nine points – seven of which were scored under the two-minute mark. The Hilltoppers cut the lead to eight with 3:06 left in regulation off a 6-0 stretch, but Maxwell snatched the ball for the Lakers from Meininger a minute later, allowing Derrick Ellis Jr. to regain the double-digit advantage and score five of the team’s final 12 points, sparking a massive celebration for the Lakers. The Lakers now advance to the Elite Eight in Evansville, Indiana, where DII’s No. 1 team, the 35-0 Northwest Missouri State, awaits the Lakers. They play March 27 at 3:30 p.m. at the Ford Center. The Northwest Missouri State Bearcats are attempting to become the fifth undefeated Division II squad in history and first since Findlay University ran the table in 2009. The winner of this game will face the winner of the first quarterfinal between Atlantic winner and No. 4-seed St. Anselm (25-5) and South champion and No. 5-seed Nova Southeastern (29-3) on March 28 in the first of two national semifinals. The other quarterfinal matchups pair Queens-NC (31-4) with Point Loma (29-4) and West Texas A&M (34-3) with Southern Indiana (25-8).